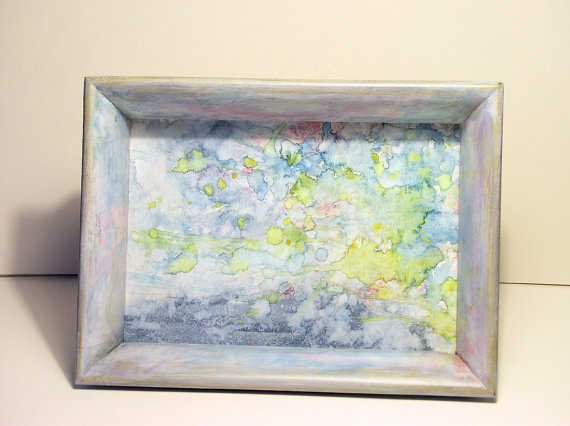 SOLD Painted Farmhouse Wood Serving Tray Re-purposed Vintage Frame with Watercolor Abstract by Laurie Rohner. 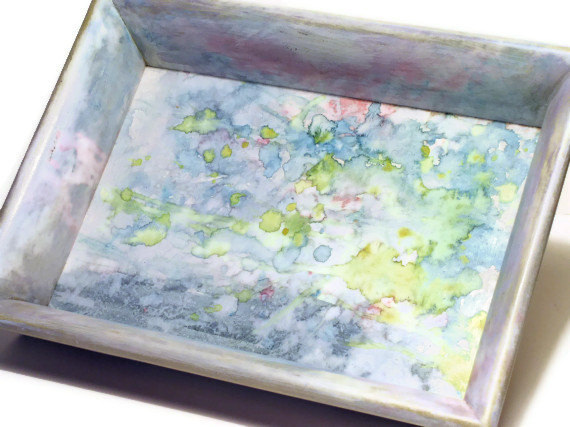 A painted wooden serving tray re-purposed from vintage frame painted with watercolor and sealed with several coats of lacquer to protect. 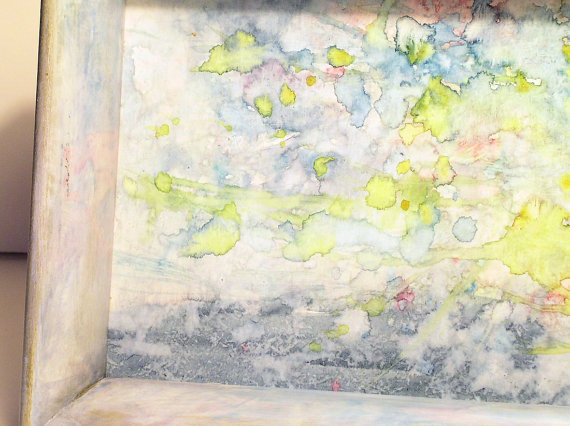 I painted a contemporary watercolor abstract in the tray titled Nebula. This is farmhouse cottage chic gone modern.